Today’s boards are expected to play a more forward-looking strategic role that supports long-term performance. 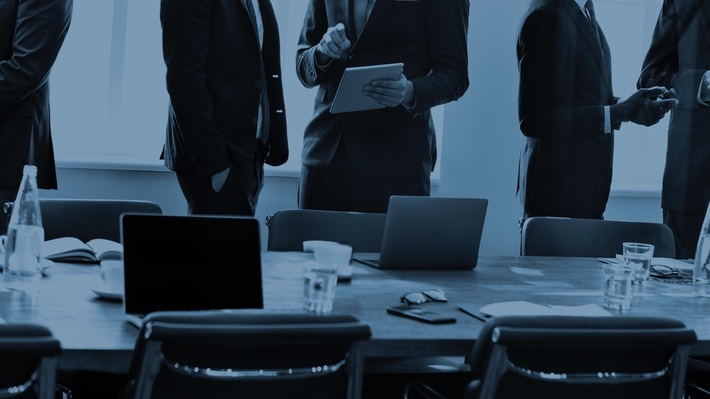 The findings from the recent research by HMI’s 21st Century Corporate Governance project found that boards are overburdened with compliance duties and are not playing a significant role in strategy. To explore this challenge further, HMI is partnering with CECP Strategic Investor Initiative and the Raj & Kamla Gupta Governance Institute at Drexel University to launch a study that will engage CEO’s, directors and investors of public companies to obtain their perspective on the board’s role in strategy and how management can engage and support boards to play a more value-added strategic role. Initiate a dialogue that will have a significant impact on how corporate boards can play a more value-added role in corporate strategy that will support long-term success and performance. Rather than a “blue ribbon” report, the outcome of this project will be practical steps in how to move governance forward. Conduct surveys and execute directors roundtables to assess CEOs’ and boards’ current perceptions of the role of boards in long-term strategy, their perceptions on the key issues that need to be addressed in order for boards to play a further role in long-term strategy, and how best to communicate board effectiveness on long-term strategy to the capital markets. Develop a practice protocol that explains how to make this change. Develop a disclosure protocol that explains how to communicate this change to investors. CECP’s Strategic Investor Initiative (SII) is a coalition of leading companies and investors committed to re-orienting capital markets toward the long term. SII convenes CEO Investor Forums to provide a venue for CEOs to share their long-term strategic plans with audiences of longstanding investors. Through leading research, SII assists companies in developing and communicating long-term plans that help inform the decisions of institutional investors. The Raj & Kamla Gupta Governance Institute at Drexel University’s LeBow College of Business uniquely aligns its preeminent academic research with diverse industry perspectives to develop cutting-edge programs and publications that support issues top-of-mind in today’s boardrooms. The Gupta Governance Institute is home to both the Center for Corporate Governance and the Center for Nonprofit Governance, each leaders in shaping and influencing public, private, and nonprofit boardrooms, nationally and internationally. The High Meadows Institute is a Boston-based think tank and policy institute focused on the role of business leadership in creating a sustainable society. Founded in 2013 by a small group of senior business leaders from the private and nonprofit sectors, the Institute works in close partnership with thought leaders, academic and business leadership organizations and other policy institutes to drive positive change. The Institute’s team in Boston works with the board of directors and a global team of advisors and experts to deliver on the Institute’s objectives. Executive Director of the Gupta Governance Institute, Patricia Connolly, spoke with Tanuja Dehne about her work with The B Team, how ESG is driving technology, and how boards and governance can prioritize sustainability efforts. Nonprofits face many challenges today that are unique to the sector, but nonprofit organizations are not necessarily as different from their for-profit counterparts as one might think.